CATHOLIC GIFT SHOP LTD - Book of Lourdes, Bernadette and the Sanctuaries. Book of Lourdes, Bernadette and the Sanctuaries. History book on Lourdes and Bernadette. 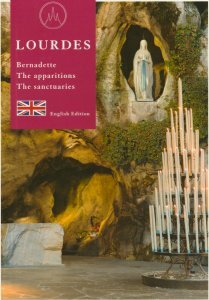 Discover Lourdes and the story of Bernadette's and the places where she lived, before and after the apparitions. Read about all the Sanctuary and the miraculous cures and long with the Stations of the cross with well illustrated contents.